​ Chesterfield VA Roofing specializes in the inspection and service of all types of residential and commercial roofs in Chesterfield, VA including the surrounding counties of Chester, Woodlake, Midlothian, Colonial Heights, Bon Air, Brandermill, Hopewell and beyond. When you need an assessment for a roof leak, replacement or a completely new roof, we will quickly come, at your request, and answer any questions you may have. Our roots are here in Chesterfield Virginia so we understand what challenges our roofs face in one of the most diverse climates in the US. 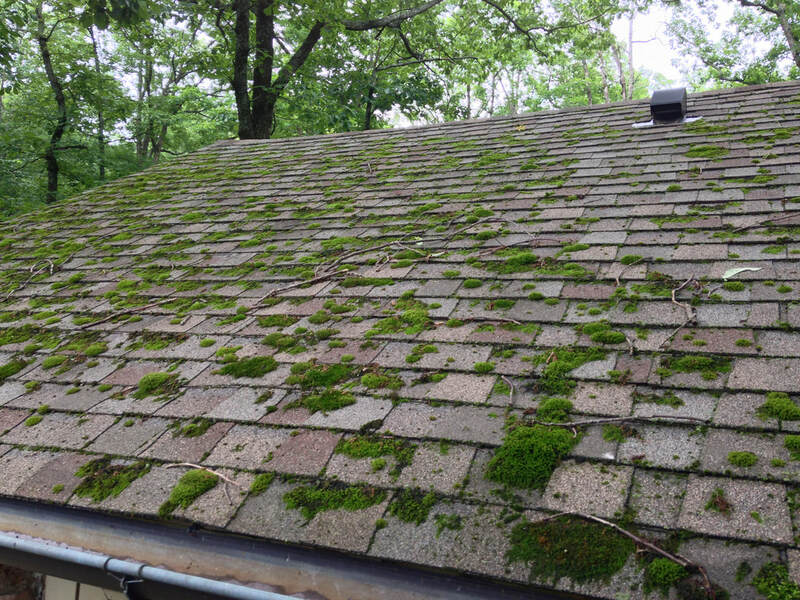 We are licensed, bonded and insured in the state of VA.
Perhaps you’ve noticed your roof’s shingle’s edges are curling, moss covered, or shingle ceramic granules are gathered in the gutters or littering the ground- all are symptoms of an ageing and failing roof. We offer Free Roof inspections to avoid unexpected repairs or to catch a problem early on before it can influence further damage. To get the optimum lifespan out of your home’s roof, it should be inspected every 3 to 5 years. Unless of course, the roof develops a fault then contact Chesterfield VA Roofing right away at (804) 894-9139. First, the inspector will ask for known history of the roof, such as recent repairs, critter problems, and your long-time plans for the property. The history of a roof is valuable because if there were previous repairs they can look at those to see if they were done properly. The outside perimeter of the home will be checked for granules from shingles or pieces of broken roofing material littering the ground. Trees with overhanging branches that should be cut back will be pointed out. Next, a ladder will be employed to get closer to the roof’s edges to view broad sections of the roof looking at valleys, vents, peaks and chimney this will help develop a general idea of the integrity of the roof. What can’t be seen from a ladder will require an inspector getting on the roof, should the pitch allow, to inspect suspect areas. The inspector does take advantage of their phone’s camera to take pictures of problem areas to use as a visual aid in discussions with our clients. Because of this, our clients will never have to climb up on their roof to view roof faults- this is so dangerous or even impossible for many clients. Inspectors will note faults to the health of the roof’s system, such as debris on roof, dirty gutters and flashing around chimneys, vents and pipes. The inspector will go inside the home to check for evidence of roof leaks (ceiling leaks). Lastly the Attic ventilation will be assessed- checking for mold growth, leaks around vents, and checking to see if the soffit vents are clear. At this point, some options or solutions will be discussed for the client to consider while we write up the report. Also, we do give some indication of how severe we consider the faults of the roof to be- if your roof is in really bad shape, you probably know this already. Roof repair estimates can be prepared in a day, but an estimate for a roof replacement may take a few days. Time is needed to factor in labor, material and equipment costs. The written assessment will provide a detailed explanation of your roofs faults and options for affordable repairs- including any upgraded options you expressed an interest in. Additionally, we will give an estimate of your roof’s potential future problems and further life expectancy. Contact us at (804) 894-9139- we’ll respond quickly and at your convenience schedule an appointment. 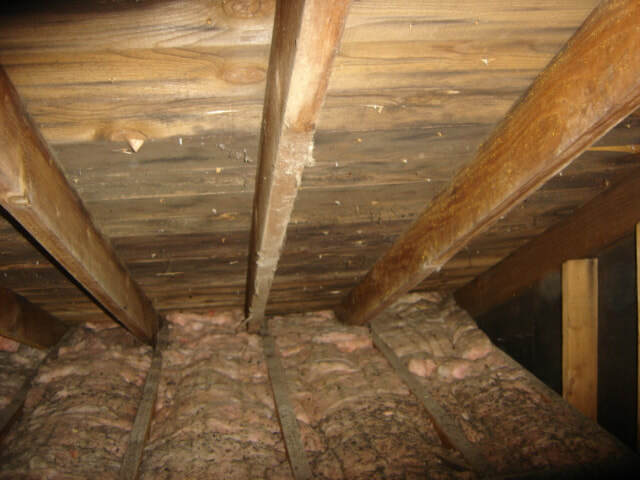 Chesterfield VA Roofing inspectors are our most experienced and highly trained employees. Inspectors have to understand how venting occurs within a building, the components of roofs (peaks, valleys, and flashings and their common failings. Malfunctions of mechanical building components (HVAC, electrical, venting, plumbing, and drains) and what impact they have on flat roofing systems is important knowledge in understanding why larger commercial or warehouse roofs fail. Rest easy, we will figure out what is going wrong with your roofing system in no time, and have an affordable solution to propose. Call us at (804) 835-6142 and we will inspect your business, office, church, and commercial roof free of charge with no strings attached. ​Flat Commercial Roofs should be inspected after every major storm, or at least 2 times a year. Mainly because what drops in, blows in or crawls on will stay on till somebody takes it off. Chesterfield VA Roofing could assess the roof after bad storms, spring and fall. Take advantage of our free, no commitments, roof inspection and get an idea of what kind of shape your company's roof is in. ​We encourage you to follow the inspector during the roof assessment to aid communications and all-around understanding. The inspector will look at deterioration points, accessories in need of repair, safety concerns, mold, mildew infestations, and debris removal assessment. Photographs of roof faults will be taken to illustrate the inspectors’ findings, and will be included on the written assessment. Our goal is to promote a budget friendly, long lasting roof repair. When the roof can’t be repaired, an affordable roof replacement will be detailed. Most reports for roof repair can be prepared in a day. A full roof replacement estimate could take a few days. We need time to evaluate labor, material and equipment costs as we try to develop the most economical solutions factored in with your desires. ​ Roofing troubles sometime require creative solutions. We have the experience to think beyond common practices. 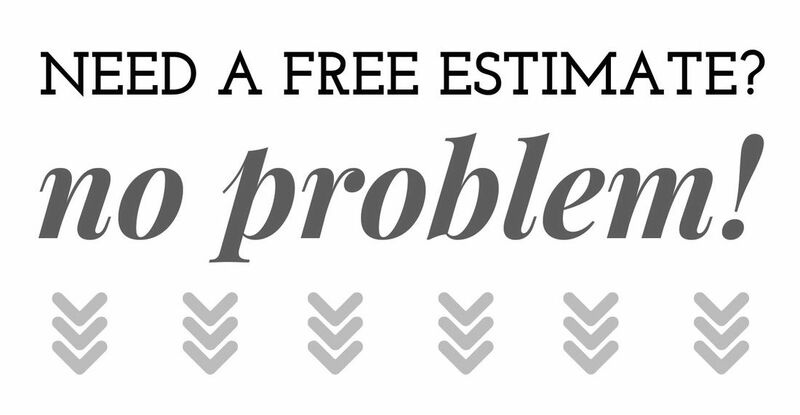 Don’t hesitate to give a call (804) 835-6142 and challenge us to find a unique solution to your roof problem. Request a, free no strings attached, written roof assessment.